ShowingFilter 21-40 of 472 listings. 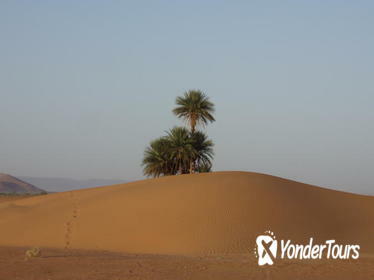 Appreciating Morocco's desert landscape can be difficult for visitors to the capital. Discover the UNESCO-listed Aït Benhaddou, Atlas Mountains, and Zagara's Tinfou Dunes on a 2-day desert tour from Marrakech, traveling between dispersed attractions with ease via air-conditioned vehicle and camelback. Camp under the stars for an immersive desert experience, and avoid hidden costs with dinner and breakfast included in the price. 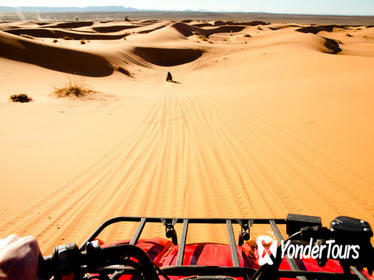 This is the ultimate quad ATV journey through south Morocco!. We take you from the bustling city of Marrakech and its ancient medina to the Sahara dunes through the beautiful Draa Valley, passing through small Berber villages to reach the fossils region of Serdrar. Here we stay in the one of the most beautiful camp in the desert! 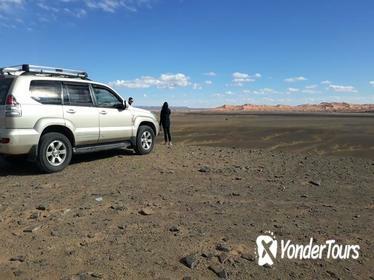 We continue crossing the desert to the Lmharche dunes and gorge before reaching one of the best and highest dunes of North Africa in Merzouga. 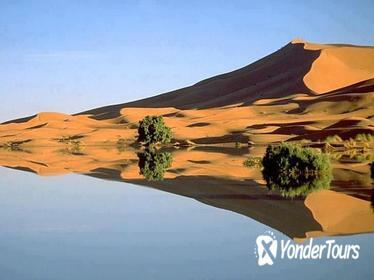 From the dunes, we discover the treasure of the desert, fossil, before returning to Marrakech. This will certainly be one of the most unforgettable experience of your life! This is the perfect romantic experience for couples. Swap the hustle and bustle of Marrakech for two days exploring beautiful desert landscapes. You'll have the ultimate stress-free trip with round-trip transport, meals, and luxury accommodation included. 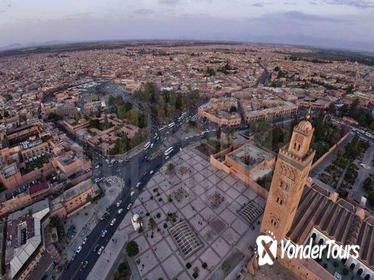 Highlights included visiting Ouarzazate, the Valley of Roses, Dades Valley, Merzouga desert, Agdez, and much more. Discover the best of Morocco during this 3-day, 2-night private desert tour from Fes to Marrakech. Learn about the rich history and culture of Morocco as you visit a number of villages such as Midelt, Erfoud, Ouarzazate, Ait Ben Haddou, and many more. 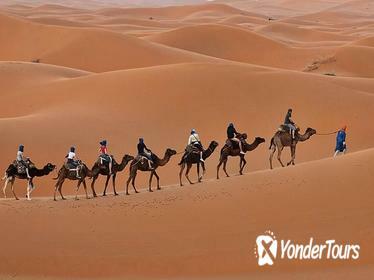 Stay overnight in a traditional Berber tent in Merzouga and enjoy a sunset camel ride in the Erg Chebbi desert as part of your Moroccan experience. Explore Morocco's vivid landscape on a 2-night desert experience from Marrakech to Fez, and experience high mountains, rolling dunes and ancient cities. Rise into the High Atlas on the winding Tizi n'Tichka pass, and take in the soaring views of the low foothills; discover mountain kasbahs and Ait-Ben-Haddou's stunning architecture. 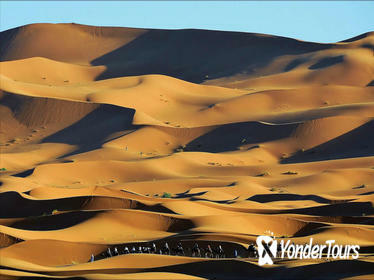 Summit the dunes of Erg Chebbi, and take a sunset camel trek before a night beneath Saharan stars in a Berber encampment. Wake for sunrise on the dunes then cross the mountains again as you return to Marrakech. Discover the best of Morocco on this 3-day tour from Fez to Marrakech. Pass by many attractions including the Atlas Mountains, the Ziz Oasis, the Dades Valley, and the Kasbahs of Skoura. Spend your evenings in a desert camp and local accommodations as you make your way through the desert with your small group. Head into the desert on a 2-day private tour from Marrakech. 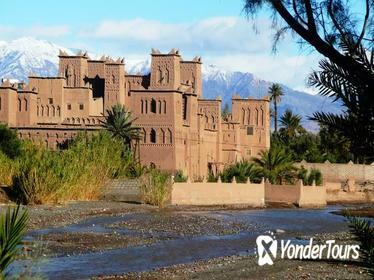 Visit old Moroccan palaces, see the Atlas Mountains, and the Draa Valley on your way to the dunes of M'hamid. 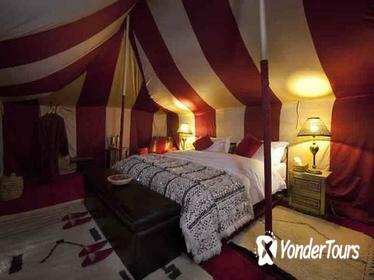 Reach the desert camp by camel where your traditional Berber tent and campfire dinner is waiting for you. Get a glimpse of the Berber lifestyle during your time in Morocco on this desert tour. Ceux qui ont le temps de passer une nuit sont donn es l'occasion de voir de première main la vie quotidienne d'une maison berbère en particulier l'importance des repas et de la nourriture dans la culture berbère. Il ya suffisamment de temps pour faire des liens personnels avec ceux que vous rencontrerez. Avec deux jours de randonn ee, vous recevez egalement une excellente enquête sur les montagnes du Haut Atlas et de la g eographie entourant les villages berbères que vous visitez. Escape the busy streets of Marrakech's Medina for the stark beauty of the desert during this 3-day excursion to Mezrouga and Erg Chebbi. Cross through the Atlas Mountains via the stunning Tizi-n-Tichka pass, explore the UNESCO World Heritage-listed Aït Benhaddou kashbah and visit the desert oasis at Skoura. Then discover the Todra Gorge and the sacred city of Rissani before spending the night amidst the stark beauty of the Sahara Desert. This 3-day, 2-night excursion also includes a driver (who also serves as guide), 2 nights of accommodation (one at a desert camp), camel trek, meals as per the itinerary, round-trip air-conditioned transport from your hotel. Take the long way around as you travel from Marrakech to Fez on a 3-day, tour that explores desert scenery, ancient architecture, palm groves, and towering gorges. You'll overnight in Dades Gorge and a Bedouin tent in the desert, enjoying three full days of sightseeing led by a guide. The tour begins at your hotel in Marrakech and concludes at your destination in Fez, with all transport by private vehicle. 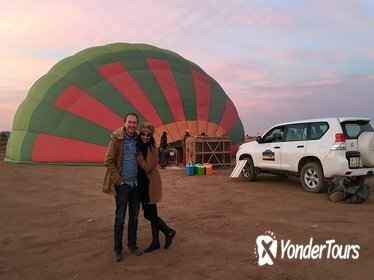 The soaring mountains and desert plains around Marrakech are even more impressive from above and this private 1-hour hot air balloon ride offers a spectacular aerial view. Take off on a thrilling sunrise flight, sip champagne as you float over the stunning landscapes, then tuck into a traditional Berber breakfast upon landing. 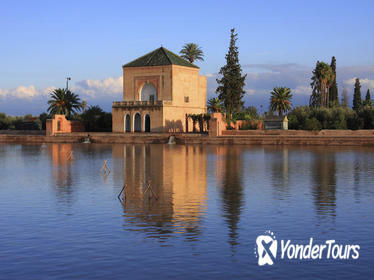 Take a horse-drawn carriage to Marrakech's gates and gardens on a 3-hour botanical tour of the city. Explore the vivid Majorelle Gardens, where indigo walls are a dramatic contrast to manicured tropical plants, tranquil pools and rustling bamboo forests. Discover ancient ramparts by traditional 'barouche,' and glimpse the extraordinary gates that protected Marrakech from centuries of Berber raids. 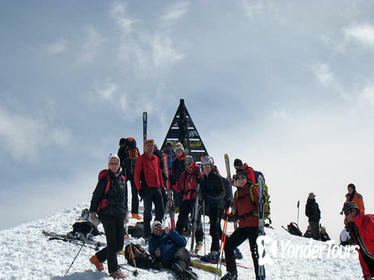 The 13,671-foot (4,167-meter) peak of Mt Toubkal is the highest in North Africa and part of the famous Atlas Mountains range. 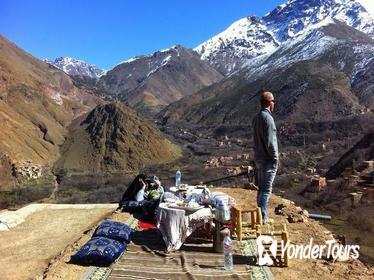 On this thrilling 3-day trek, journey through the mountains, stopping at traditional Berber villages; hike to the summit of Mt Toubka and enjoy spectacular views over the surrounding mountains; and spend two nights at the Toubkal Refuge. Spending three days in the Moroccan desert can be quite intimidating if you haven't done your research. Stay safe while you travel by prebooking this 3-day desert trip to Fez from Marrakech. Along with riding a camel at Erg Chebbi and tasting traditional Moroccan mint tea, you'll spend one of your nights in a Berber village and eat dinner under the moonlit night sky. Enjoy the stunning sites of the Moroccan countryside on this adventure-filled, multi-day safari tour. 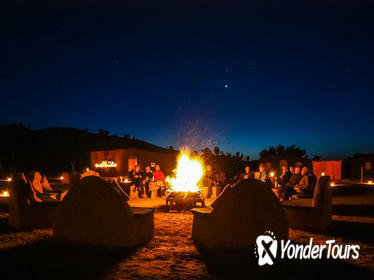 With an overnight campfire in the Zagoda Desert, you'll get a peek at the sun rising over rolling sand dunes. Venture even deeper into the desert with two camelback rides as you get exclusive access to far-flung corners of the country. You'll also visit traditional mountain villages, a lush desert oasis, and an 11th-century casbah. 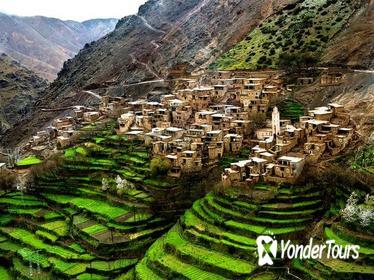 Explore the Berber villages of the High Atlas Mountains on a 3-day trek from Marrakech, and go deep into a landscape of lush valleys and arid peaks. Pack your luggage onto mules and enjoy an unencumbered walk from Imlil through a series of high passes that gives you a vivid glimpse of life in isolated Berber communities. Sip tea with a local family and learn about the region's fascinating traditional culture; relax in a steamy hammam and sleep in one of the refuges that have sheltered generations of mountain travelers. 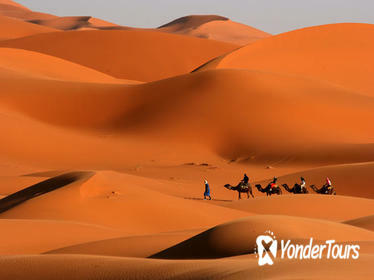 Set out from Marrakech to the Merzouga Desert on a 2-night trip and ride a camel into nomadic camp. Delve into the high passes and lush valleys of the Atlas Mountains, travel through Berber villages and discover weathered kasbahs in the Valley of the Roses, where farmers cultivate a pink sea of Damask rose trees. Meet your camel at Erg Chebbi and cross the dunes to Berber tents; watch the sun set over the sand and take in the beauty of the Sahara's stark, undulating landscape. Watch the sunrise over the Marrakech countryside on this 1-hour hot air balloon ride. 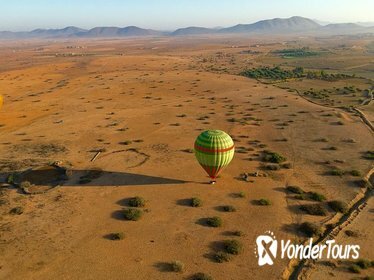 Take off on a thrilling sunrise flight, sip champagne as you float over the stunning landscapes, then tuck into a traditional Berber breakfast upon landing. This VIP option is shared with other passengers, but you'll have your own private compartment in the balloon. Get a glimpse of the Berber life on this 3-day tour to the Merzouga Dunes from Marrakech. Visit attractions such as Ait Ben Haddou, the Atlas Mountains, the Rose Valley, and the Dades and Toudra Gorges before finally making it to the Merzouga Dunes. 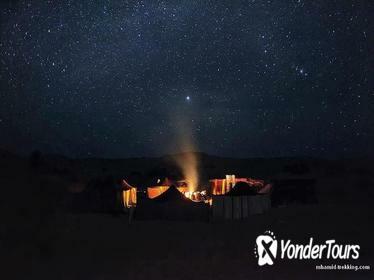 Spend one night in a traditional Berber tent and enjoy a traditional dinner in the middle of the desert.